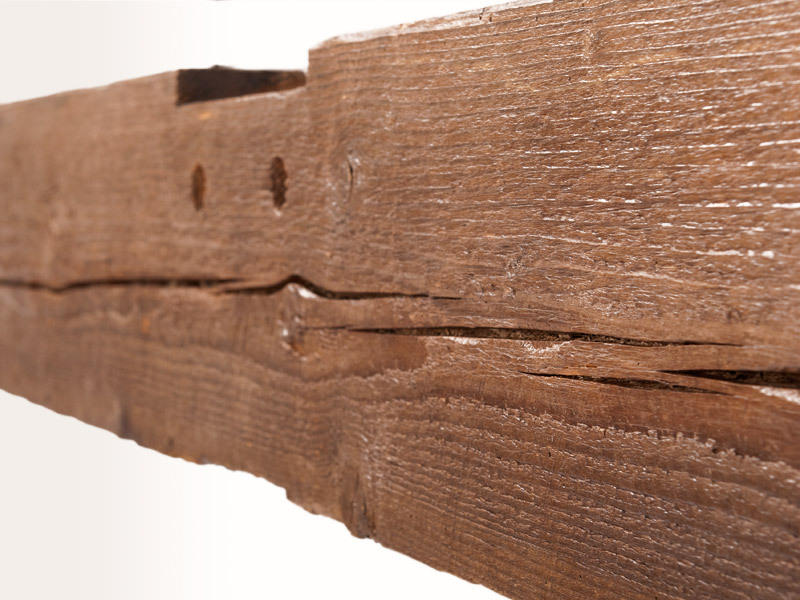 This large floating bed is constructed from a reclaimed glulam beam. 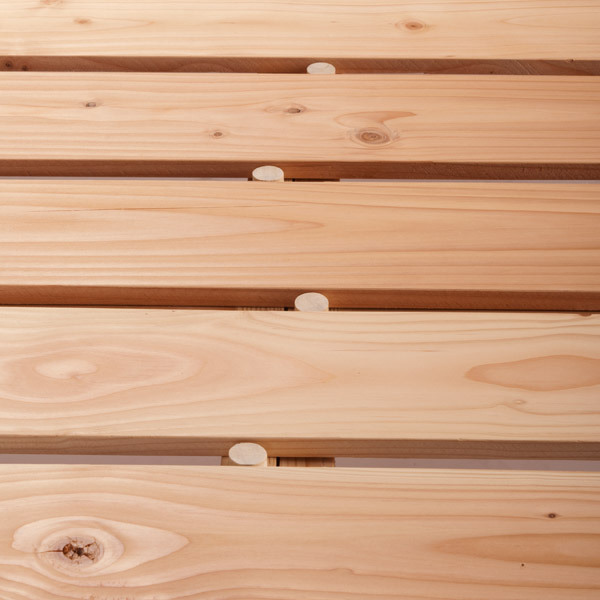 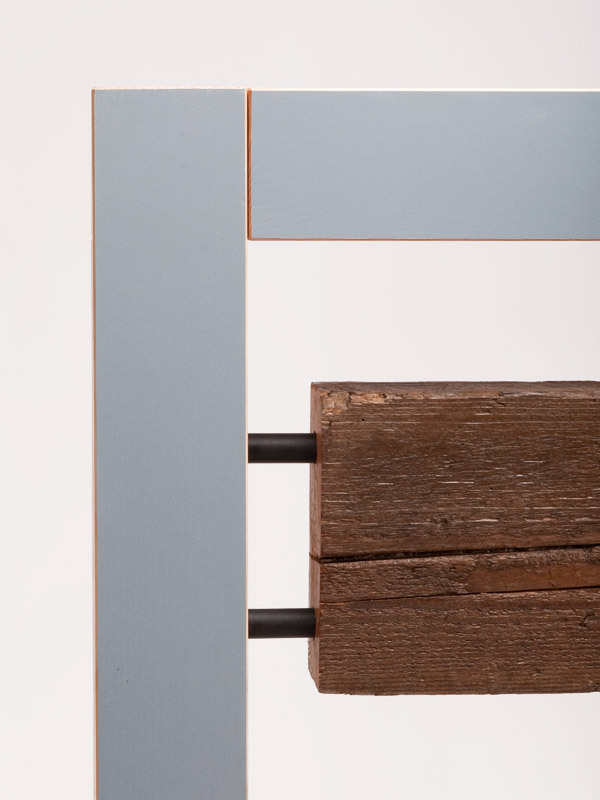 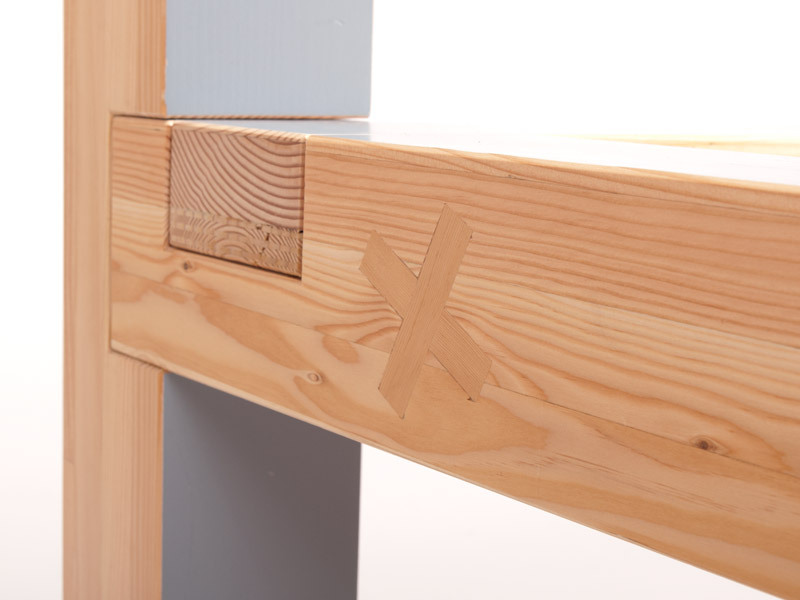 It is surprisingly easy to assemble, with woodworking joinery connecting the frame. 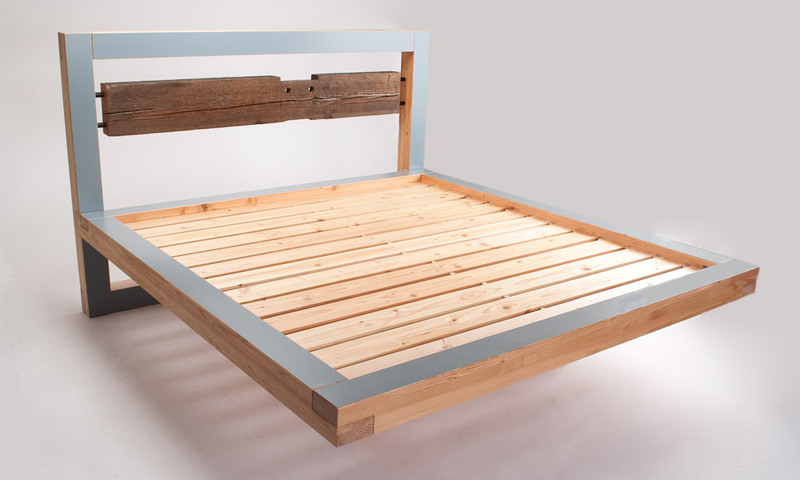 The bed is highlighted by a headboard made of reclaimed wood from an old post and beam barn, held in place with steel tubing.